Out of thousands of stocks that are currently traded on the market, it is difficult to determine those that can really generate strong returns. Hedge funds and institutional investors spend millions of dollars on analysts with MBAs and PhDs, who are industry experts and well connected to other industry and media insiders on top of that. Individual investors can piggyback the hedge funds employing these talents and can benefit from their vast resources and knowledge in that way. We analyze quarterly 13F filings of over 700 hedge funds and, by looking at the smart money sentiment that surrounds a stock, we can determine whether it has potential to beat the market over the long-term. Therefore, let’s take a closer look at what smart money thinks about Dover Corp (NYSE:DOV) . Is Dover Corp (NYSE:DOV) a good stock to buy now? The best stock pickers are genuinely in an optimistic mood. The number of bullish hedge fund bets that are revealed through the 13F filings increased by 6 in recent months. DOVwas in 28 hedge funds’ portfolios at the end of the third quarter of 2016. There were 22 hedge funds in our database with DOV holdings at the end of the previous quarter. At the end of this article we will also compare DOV to other stocks including Macy’s, Inc. (NYSE:M), Oneok Partners LP (NYSE:OKS), and Harris Corporation (NYSE:HRS) to get a better sense of its popularity. With all of this in mind, we’re going to take a look at the latest action surrounding Dover Corp (NYSE:DOV). 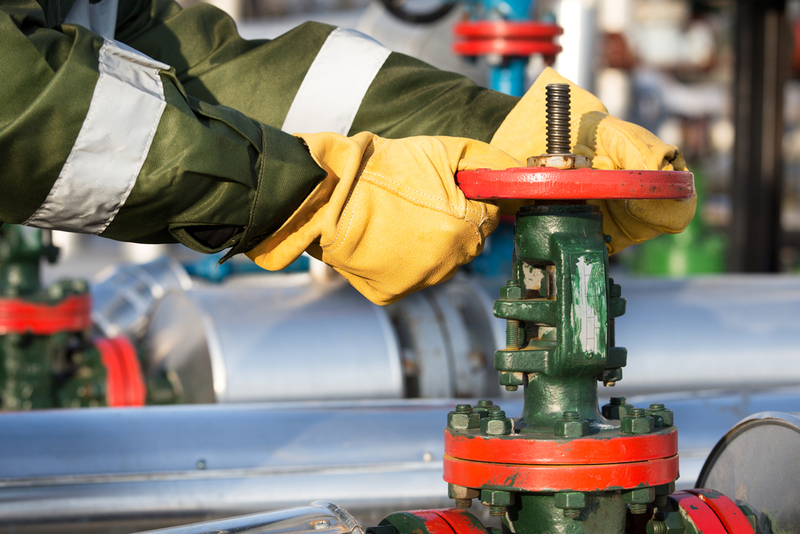 How have hedgies been trading Dover Corp (NYSE:DOV)? Heading into the fourth quarter of 2016, a total of 28 of the hedge funds tracked by Insider Monkey held long positions in this stock, a jump of 27% from the second quarter of 2016. 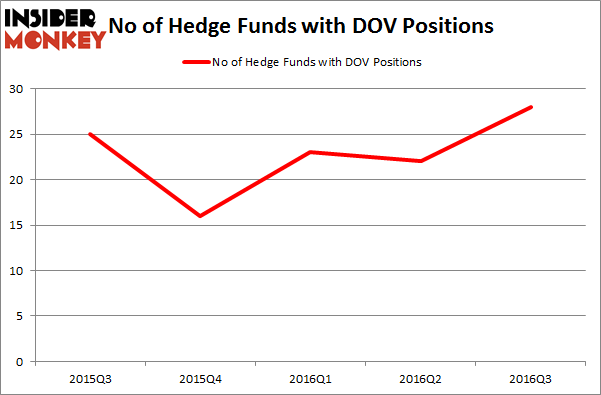 On the other hand, there were a total of 16 hedge funds with a bullish position in DOV at the beginning of this year. With hedgies’ sentiment swirling, there exists a few noteworthy hedge fund managers who were increasing their stakes meaningfully (or already accumulated large positions). According to Insider Monkey’s hedge fund database, Richard S. Pzena’s Pzena Investment Management has the biggest position in Dover Corp (NYSE:DOV), worth close to $426.7 million, corresponding to 2.6% of its total 13F portfolio. The second most bullish fund manager is Citadel Investment Group, led by Ken Griffin, which holds a $68.8 million position; 0.1% of its 13F portfolio is allocated to the stock. Remaining professional money managers that hold long positions contain Jeffrey Gates’s Gates Capital Management, Phill Gross and Robert Atchinson’s Adage Capital Management and Israel Englander’s Millennium Management. We should note that Gates Capital Management is among our list of the 100 best performing hedge funds which is based on the performance of their 13F long positions in non-microcap stocks. How WCI Communities Inc (WCIC) Stacks Up Against Its Peers Is Controladora Vuela Co Avcn SA CV (ADR) (VLRS) Going to Burn These Hedge... Hedge Funds Are Doubling Down On WSFS Financial Corporation (WSFS): What Do... Xcel Energy Inc (XEL): Smart Money Ownership Continues to Dreadfully Lag Peers... Hedge Funds Remain Unimpressed by POSCO (ADR) (PKX) Is Southern Co (SO) A Good Stock To Buy?